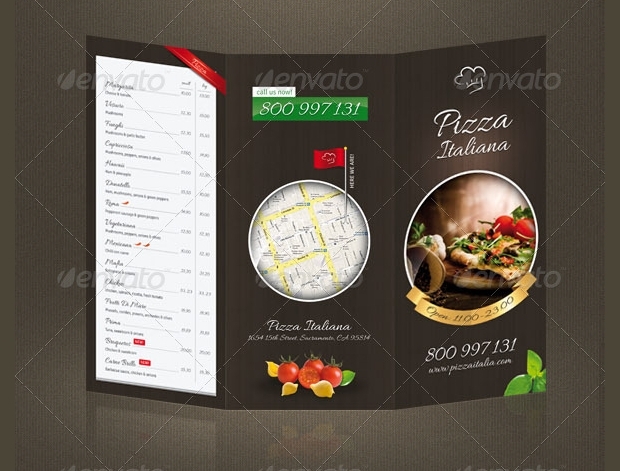 A menu is a presentation detailing exactly what kind of food and beverages is being offered. 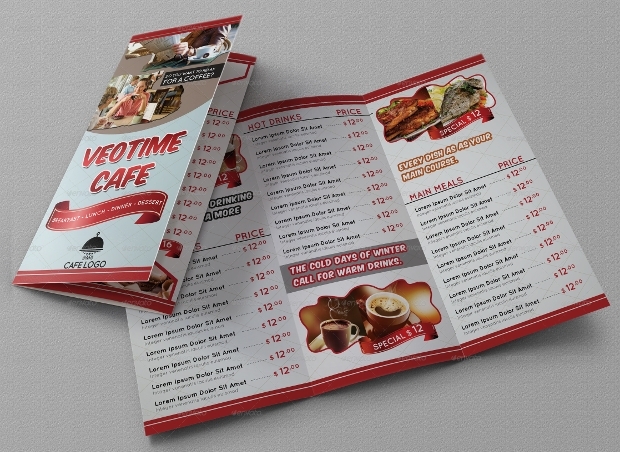 A good menu should be interesting and make a lasting impression even after you have given it to your customers. 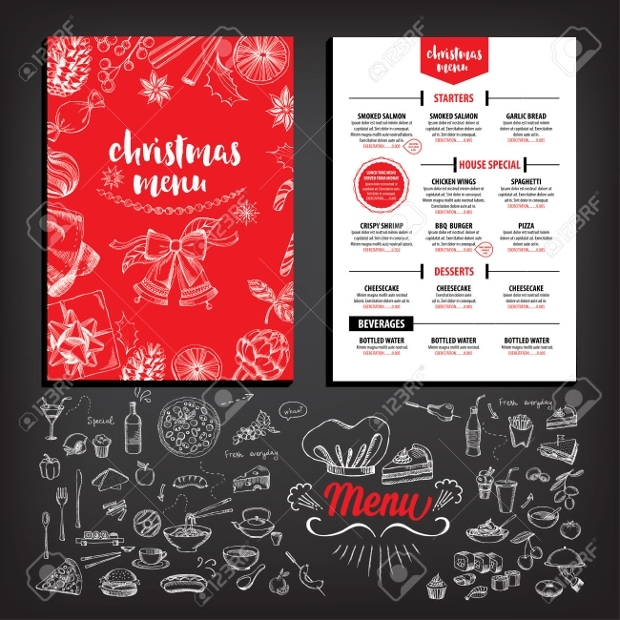 It conveys your brand in a way that will entice the dinners and motivate them to come back again and even recommend their friends as well as family members. 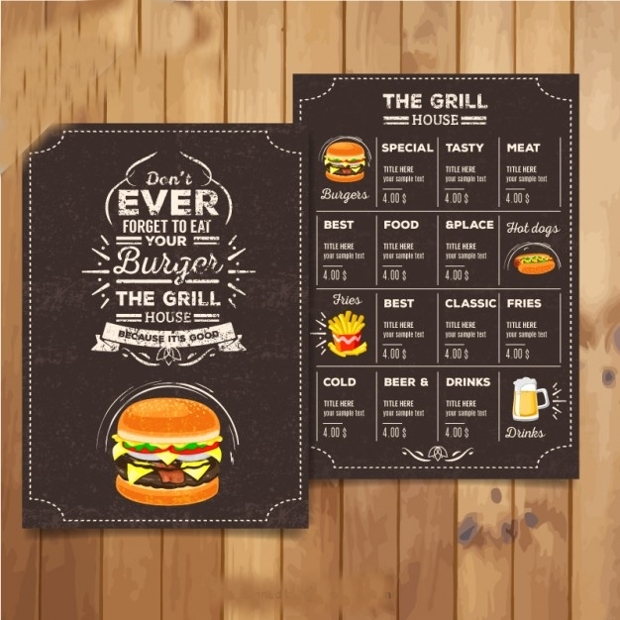 In this article, we have different types of menu designs that will impress your guests. 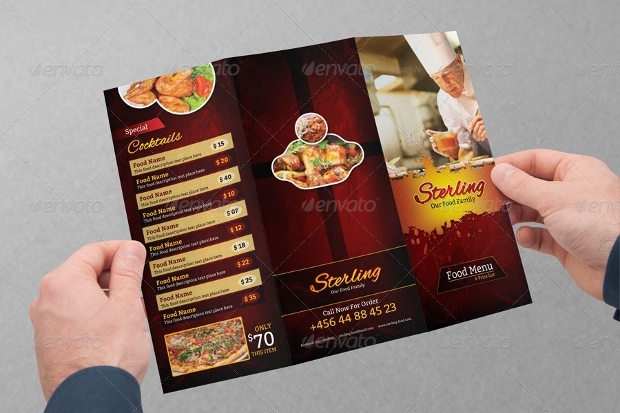 Restaurant menu designs are a form of internal advertisement that works to prepare customers for what they are likely to experience. 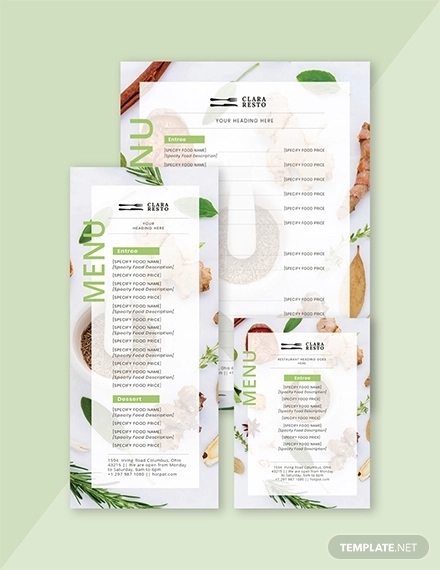 Depending on your restaurant’s personality, a good menu will consider color palates, fonts and give a clear description of the content displayed. Star items are placed on eye level locations. 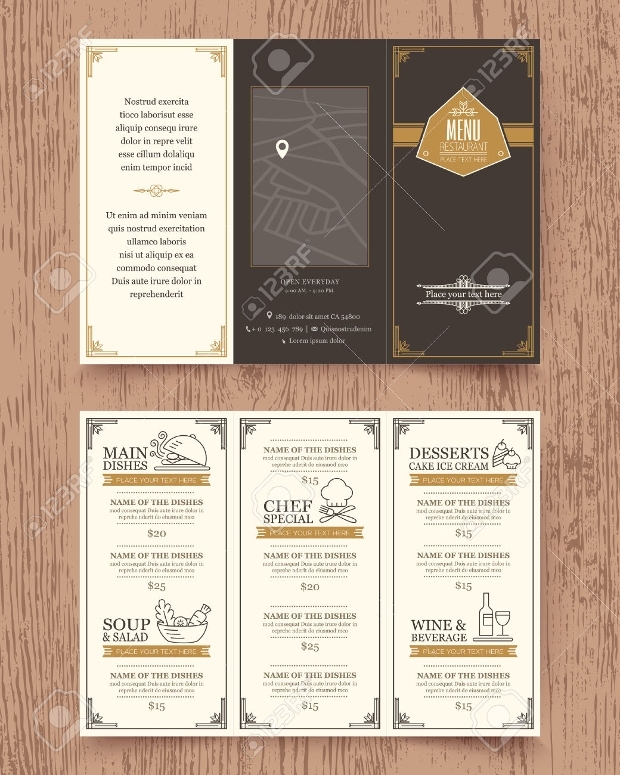 Food menu designs give a list of the type of delicacy available and often include main meals as well as desserts. 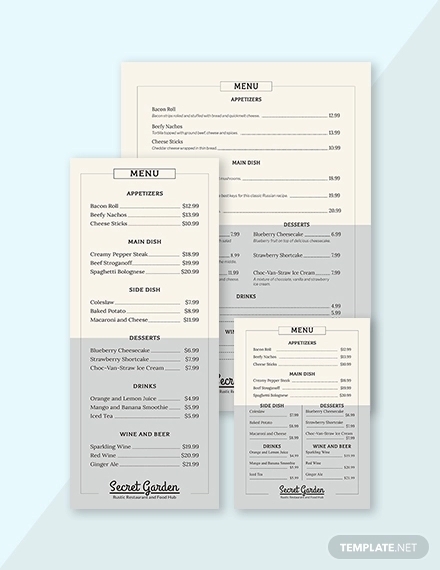 This menu type also tends to include prices on each food to help guide the clients on what they can order based on their budget. 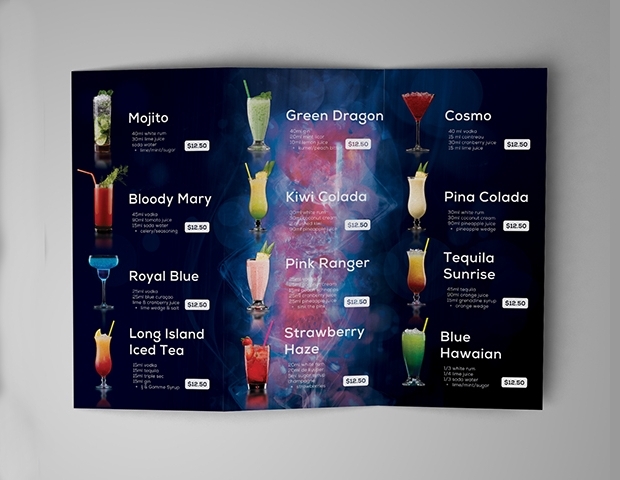 Drink menu designs are perfect for clubs, pubs or nightclubs. 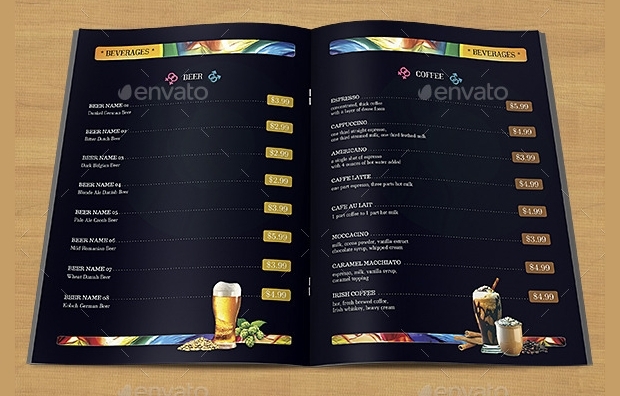 This design gives a clear description or list of the types of beverages on offer. 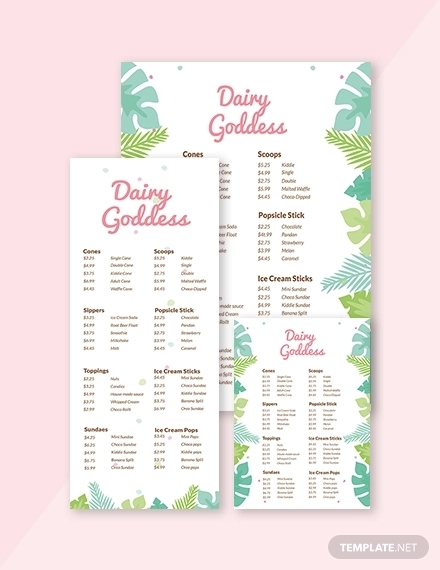 If the drinks are many types, then the most frequent ordered are usually placed on the first page where customers first check while the rare ones are usually listed on the back page. 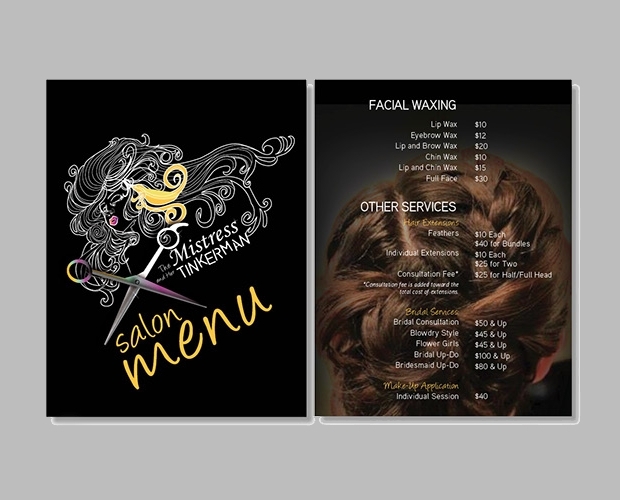 Salon menu designs showcase the different types of hairstyles including the trendy ones so as to give various options to clients. 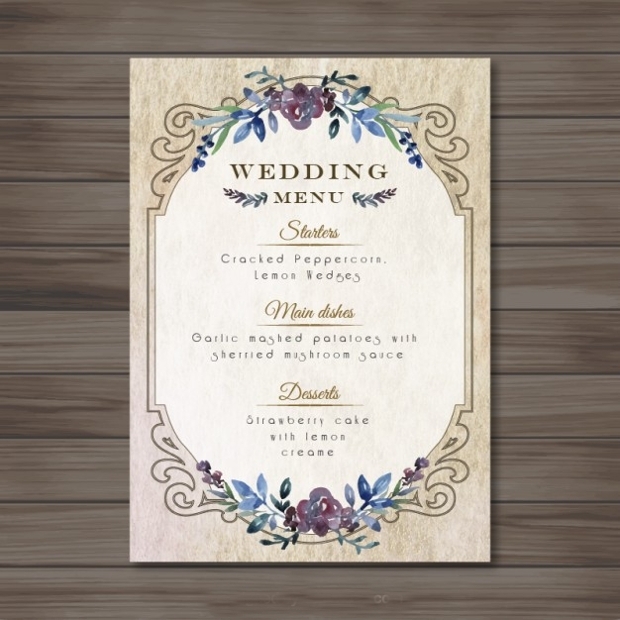 Wedding menu designs offer a list of the kind of foods and drinks that will be available during that special day. 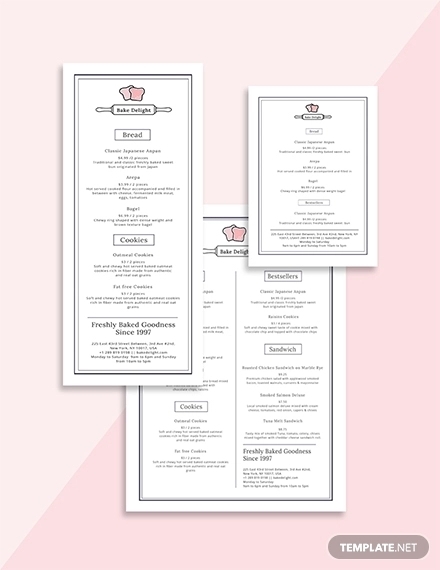 Creating a menu is a crucial stage of wedding planning because it ensures the meals are sufficient and will cater to different needs. It also ensures the owners stick to a budget. 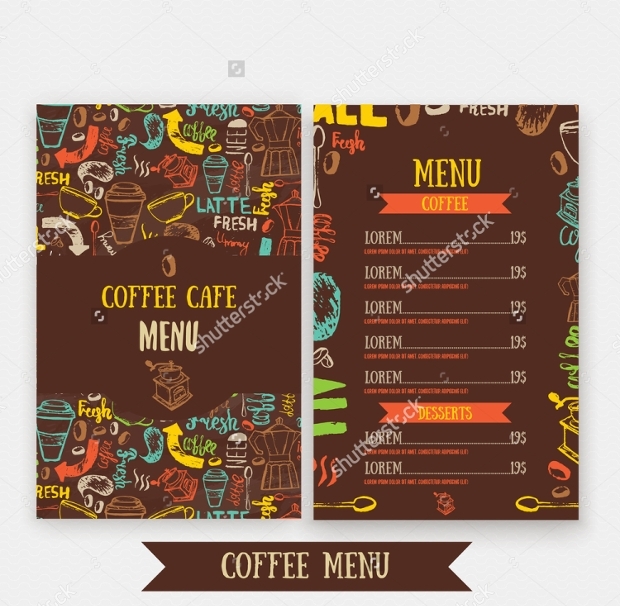 Cafe menu designs list beverages and lightweight meals that can easily get the attention of guests. Vivid yet minimal photographs make a lasting impression and give a glimpse of the kind of food the café is offering. 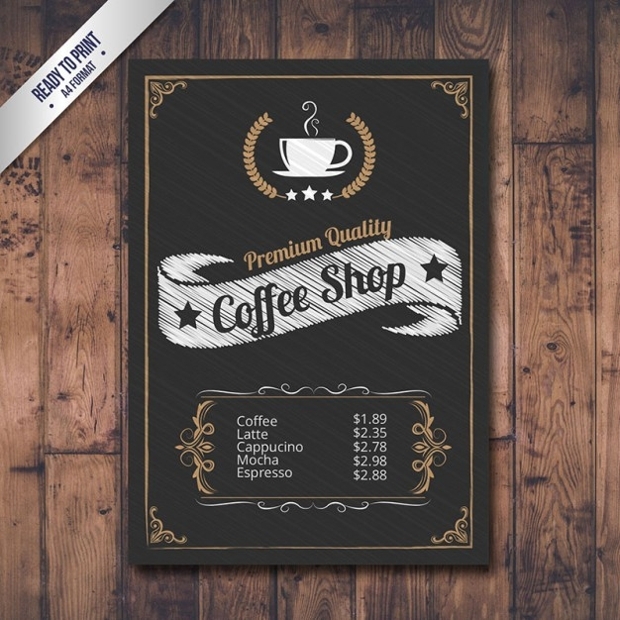 You can try different fonts to find that which shows both creativity and professionalism. 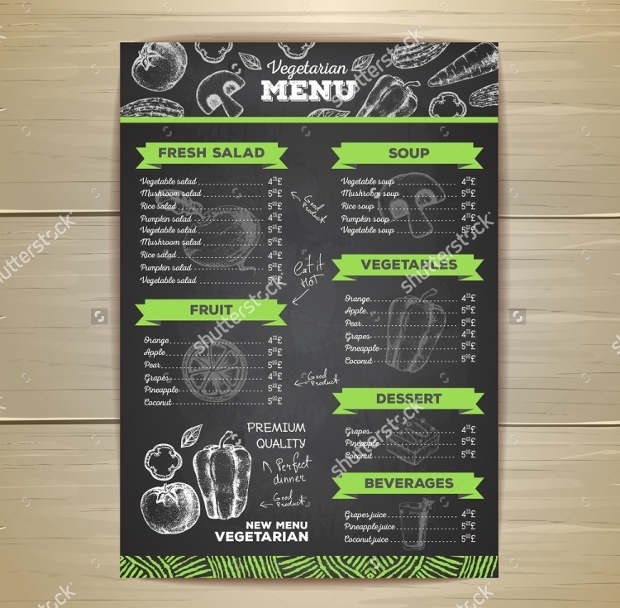 People who go to restaurants tend to remember the menu design. 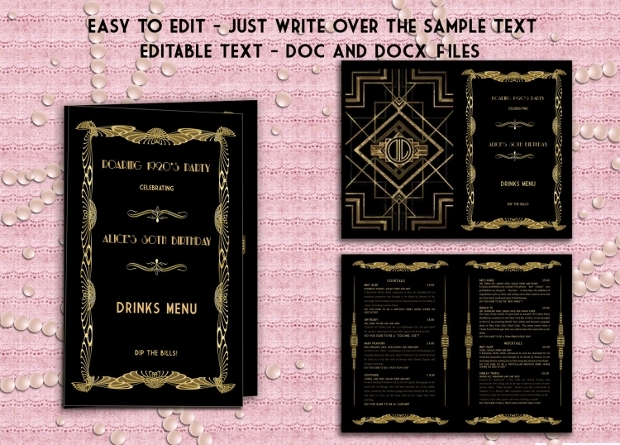 Vintage menu designs are eye-catching and get their inspiration from menus used in the yeasteryear era. 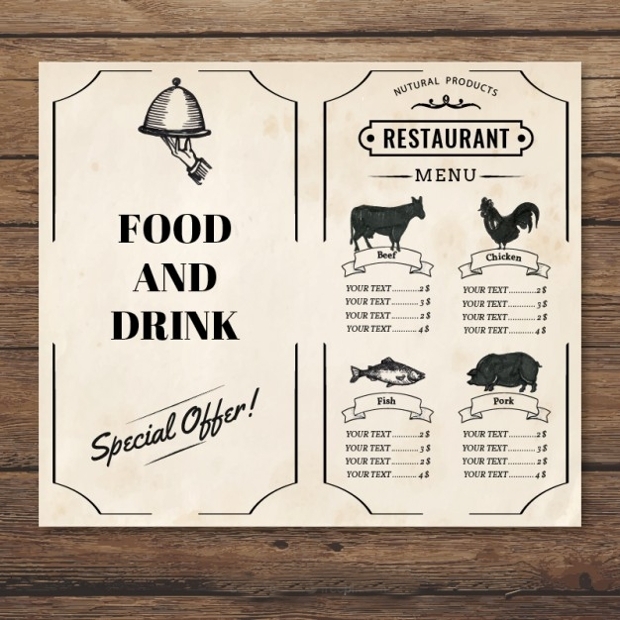 With visually striking images, they emphasize what is served and draws attention to specific items so as to get the desired sale. 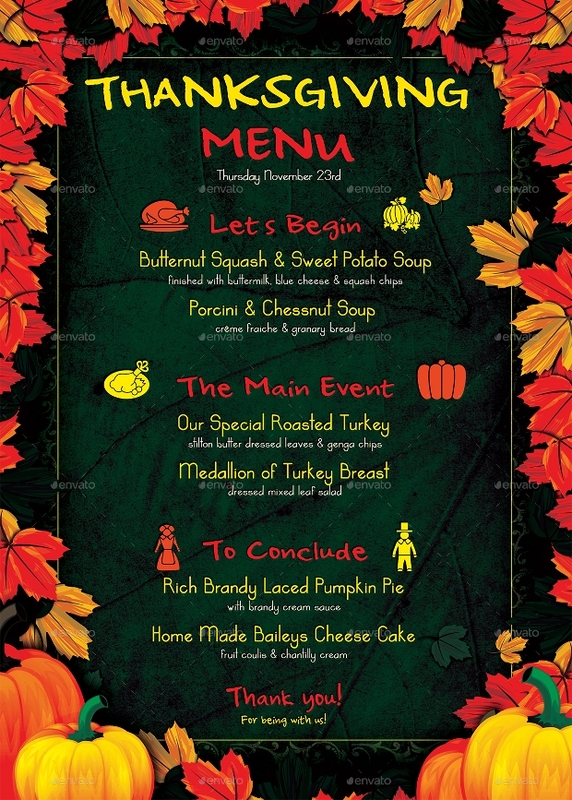 While a Thanksgiving menu design is incomplete without a well done roasted turkey, other foods also have to be included. 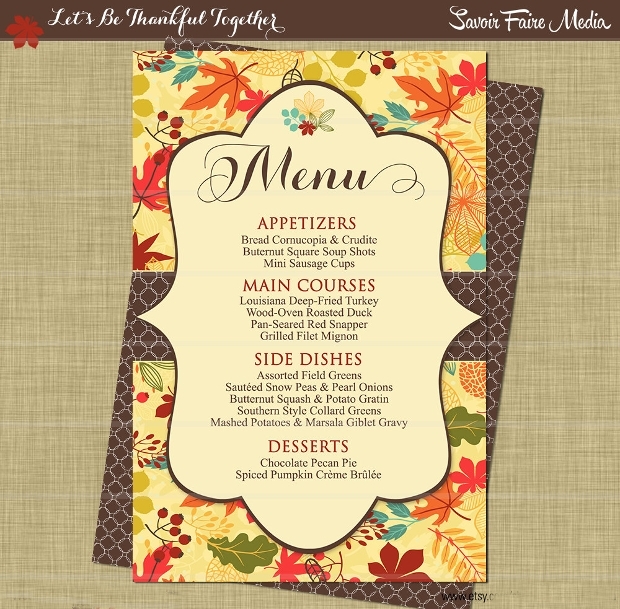 If you are hosting this special day in your home or restaurant, you need a theme that matches with this holiday. 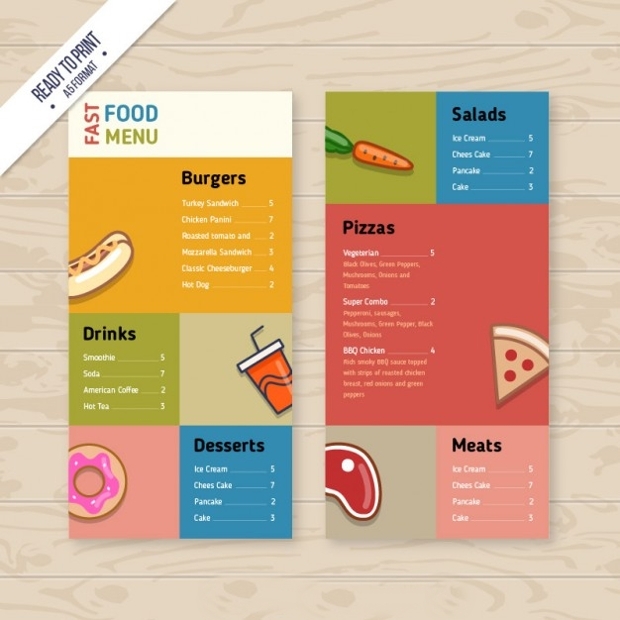 You can even add mini photos of the foods to make the menu more striking. 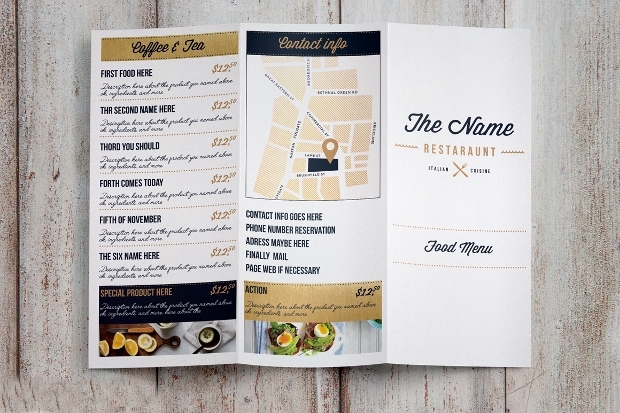 Modern menu designs highlight unexpected foods and eliminate boredom. 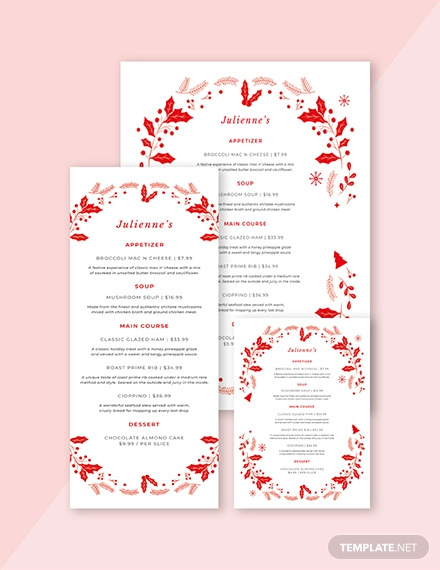 They give surprises to dinners and entice customers to keep coming back to see what else can be offered. They showcase food creativity by listing the ingredients used, and others go as far as writing calories in each meal. 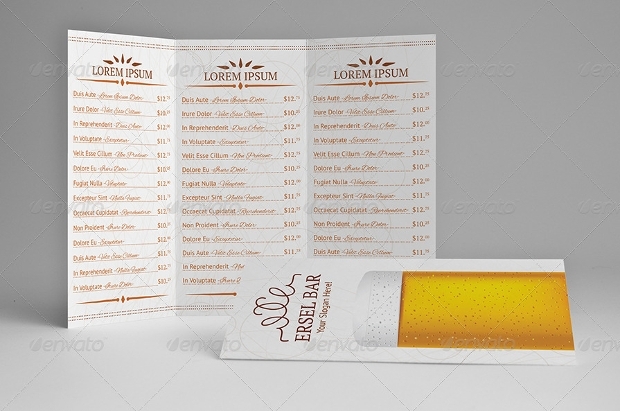 Beer menu designs are intriguing and attractive. They tend to feature a symbol of a frothy beer on a mug to bring back memories of how the guest felt the first time they tasted beer. 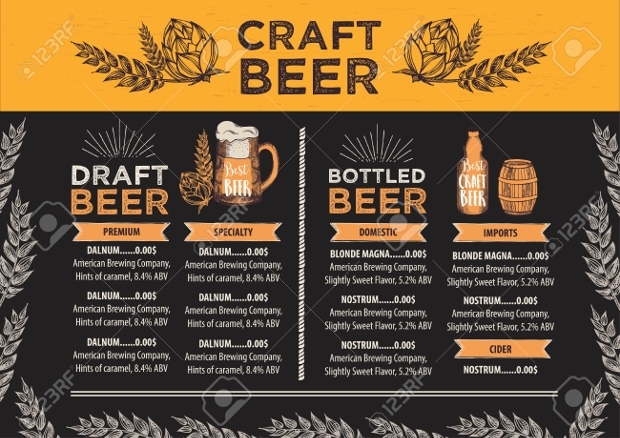 A little history of where the alcoholic beverage was made and what makes it so tasteful will keep the customers coming back. 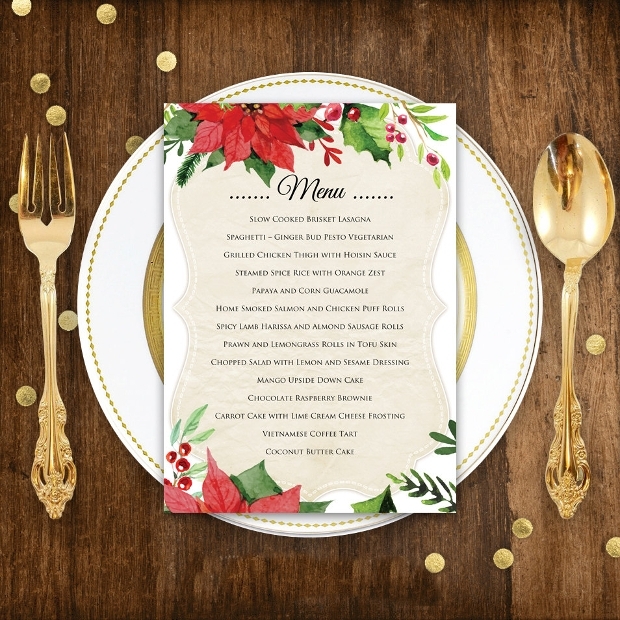 If you are looking forward to hosting this upcoming Christmas holiday, then you need a perfect menu to impress your loved ones. The color has to match the theme, so red, green or white are ideal. 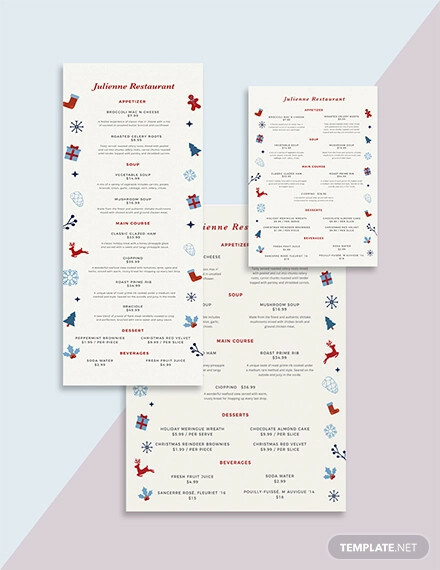 Whether you are hosting it in a restaurant or at home, a good menu will make the holiday worth remembering. 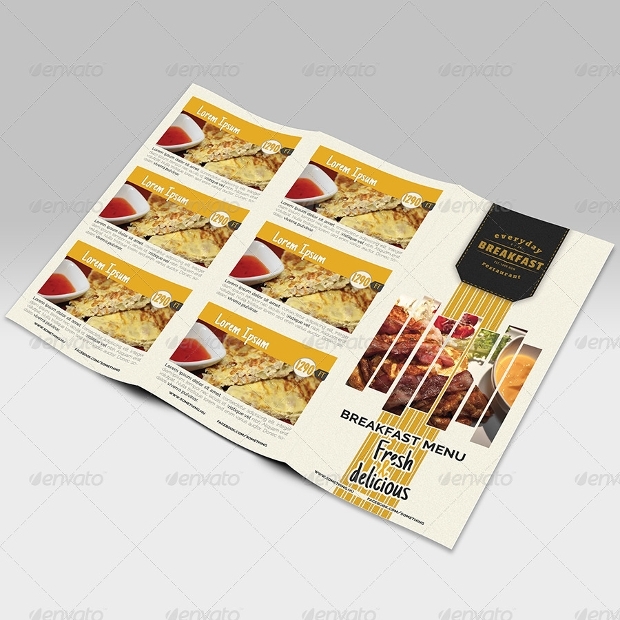 Breakfast is the first meal that starts the day; therefore its menu design has to stimulate your client’s appetites. While you can include the standard breakfast foods, you need to surprise your guests once in a while by adding something new. 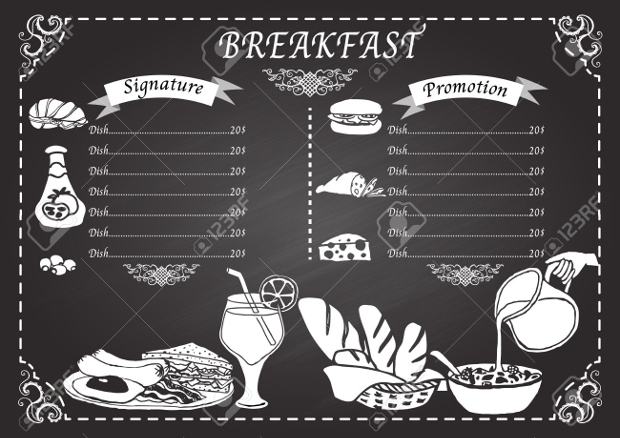 An excellent breakfast menu will be simple to order and will cater to different tastes. 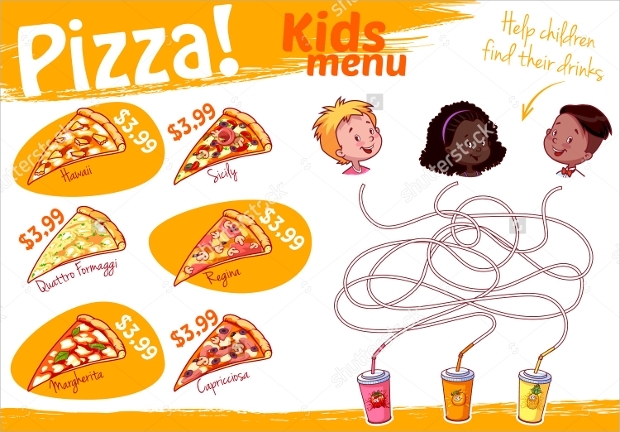 Pizza is loved by people of all ages, and its menu showcases different types of toppings. 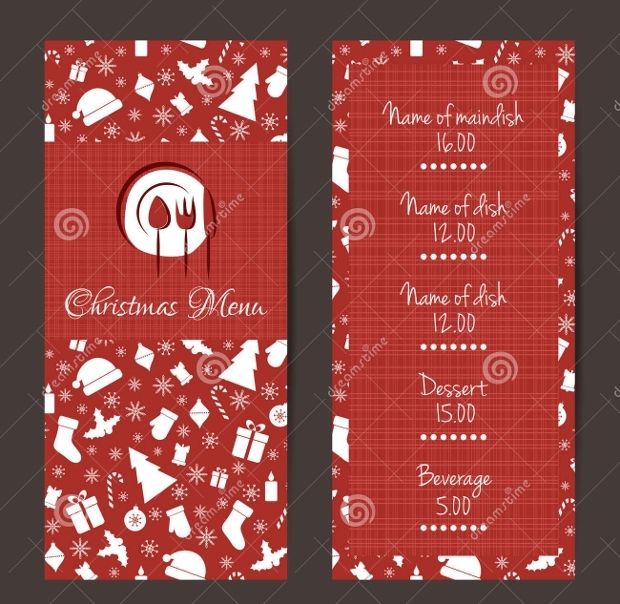 The menu designs should match the theme and design of the restaurant. 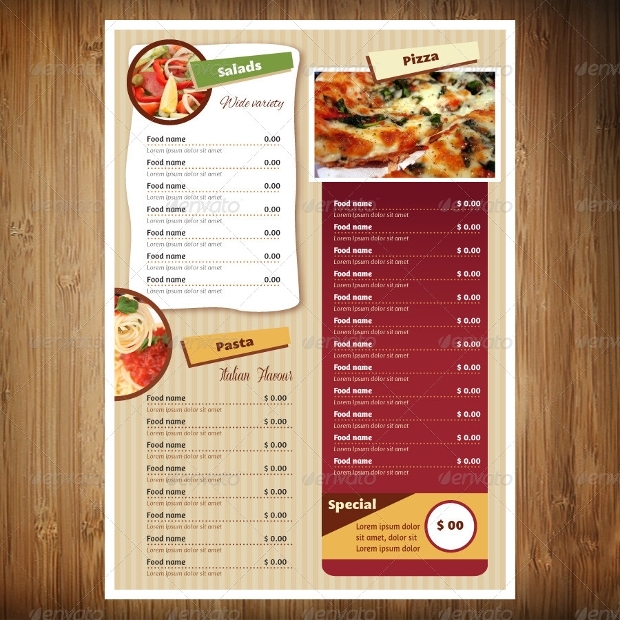 Just as your pizza is unique and tasty so should the menu be stunning so that it keeps you at a competitive advantage. 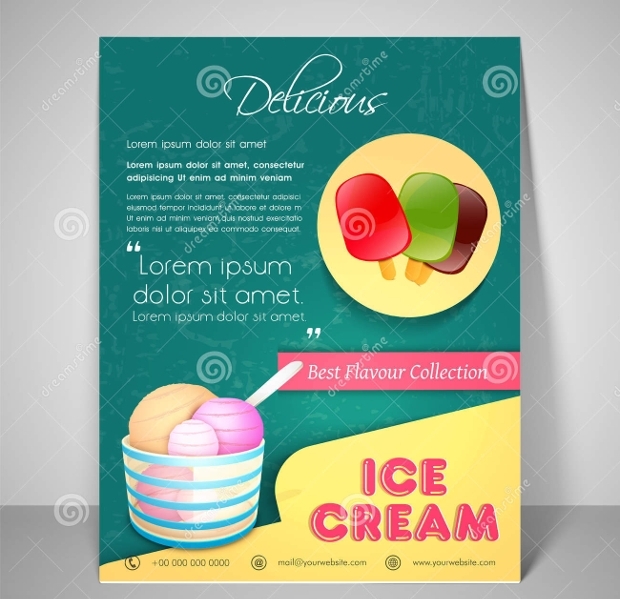 Ice cream is a favorite dessert to most guys and girls of all ages. 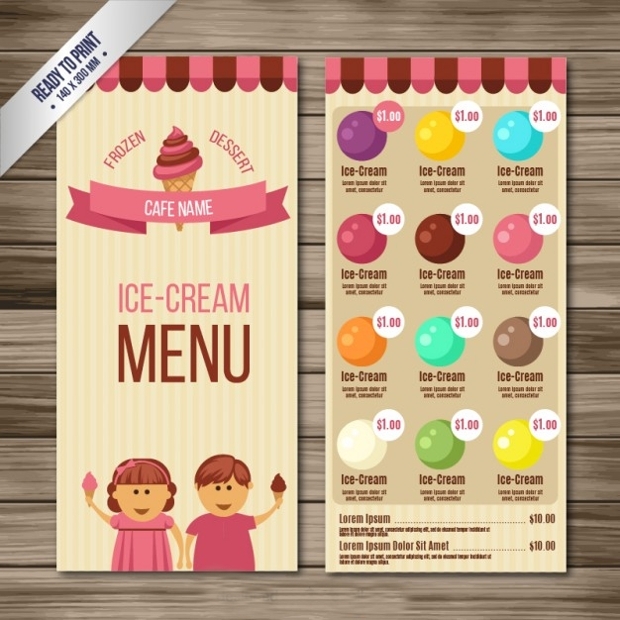 As there are different flavors, your ice cream menu design should include every option available and present each item with a colorful image. 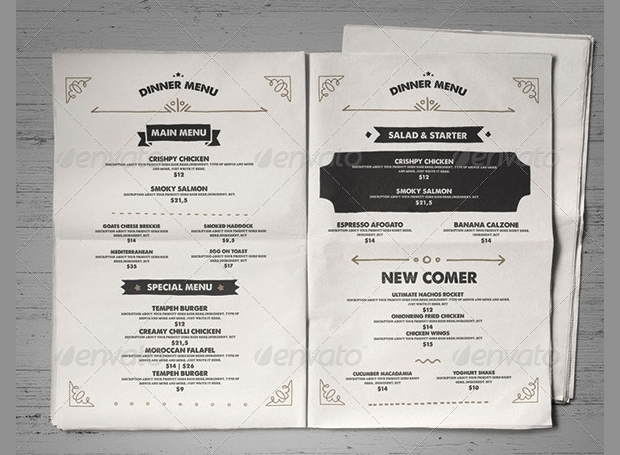 The format of your design should be appropriate while considering the needs of all your dinners. 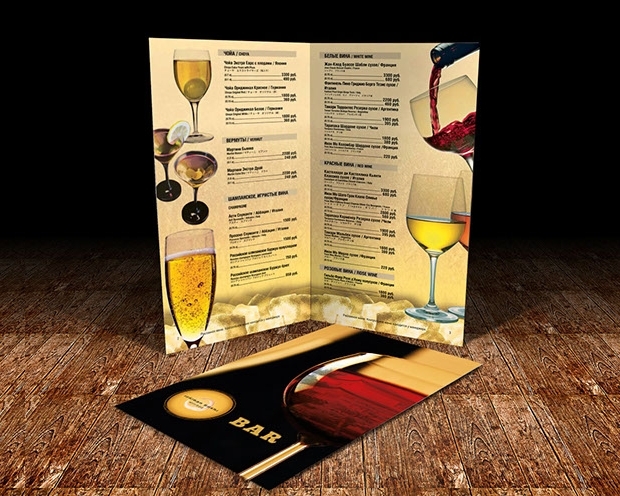 Menu designs come in different colors, and those in vibrant shades are usually more appealing and eye catching. 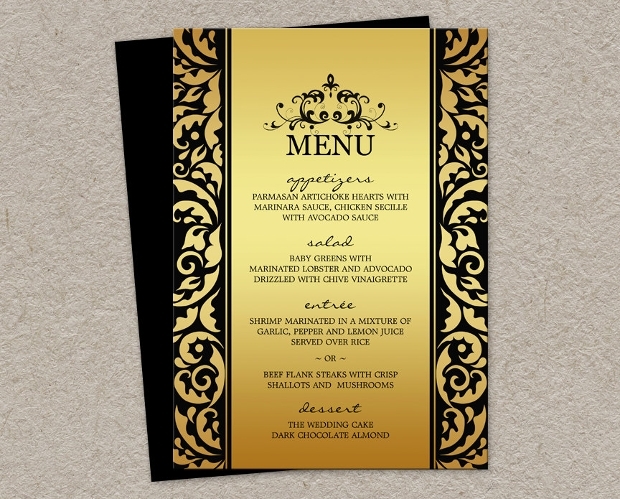 Depending on the event, you should go for a menu color that complements your overall theme. To make it easier go for colorful menu designs that are easy to print. 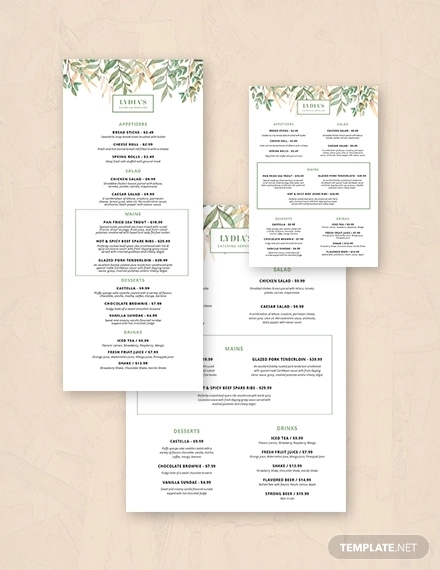 Dinner menu designs should display a calming mood that is synonymous with this type of meal. 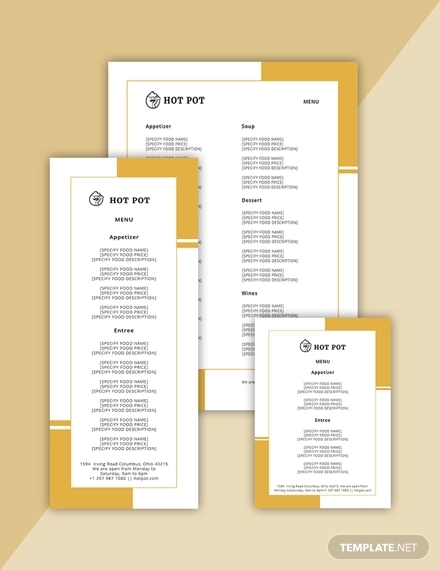 Choosing a dinner menu can be a fun experience as long as you consider the needs of your clients. 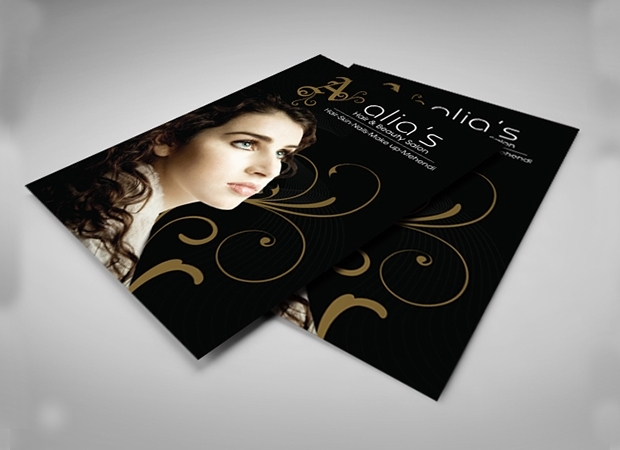 So go for a design that shows professionalism in your setting as well as elegance. 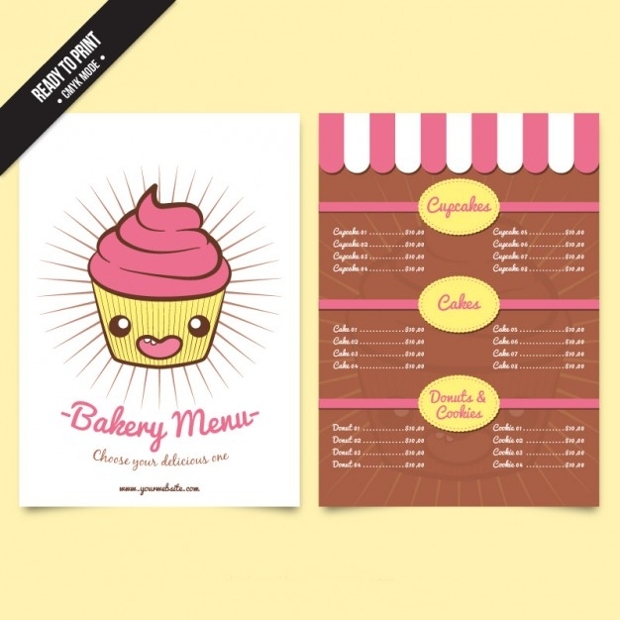 Bakery products such as cakes and bread are usually in demand every day. 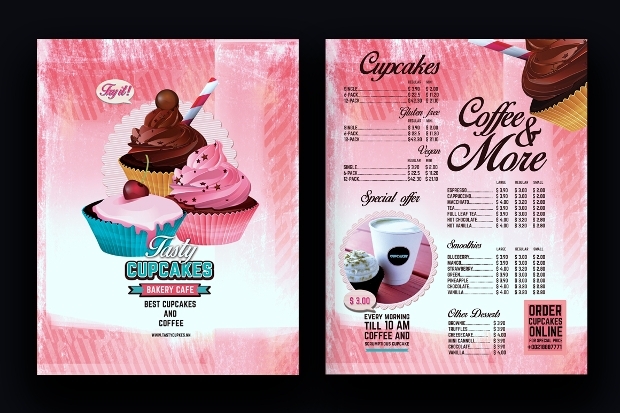 With the stiff competition in this industry, it is crucial that your bakery menu stands out, so you need a designs that sets you apart. 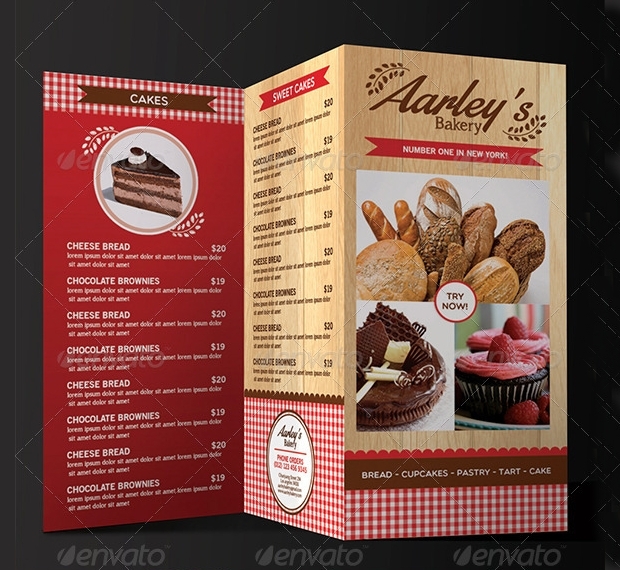 The bakery menu design is welcoming, dynamic and feature different products. 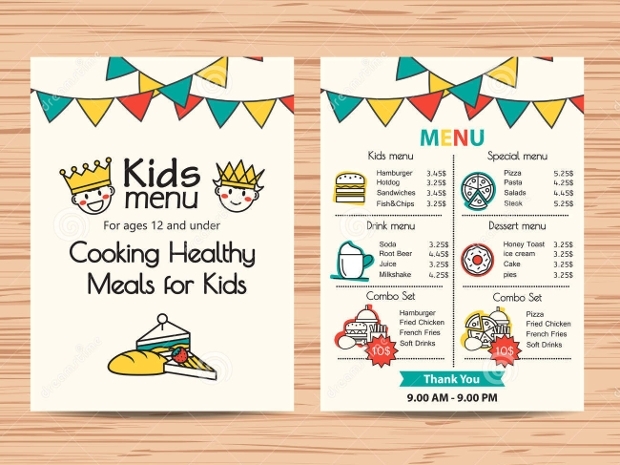 Kids menu designs have to be fun and simple for the young ones to understand. It has to feature foods that they love hence will be excited to partake in the event. The format must feature vibrant colors and can even include cartoon characters that the kids can easily relate to. 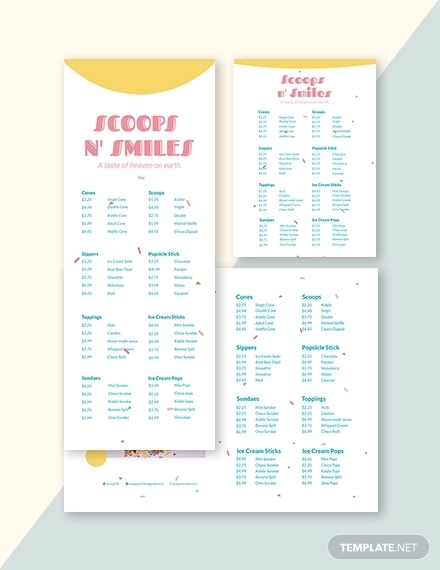 Every person celebrates a birthday once in a year; therefore the menu design must be top notch. Since we all have different tastes, each birthday is unique and meets the needs of the person having the birthday. It provides a new experience that will make the day memorable. From New Year, Halloween, Valentine to mothers day, there are many holidays in a year. 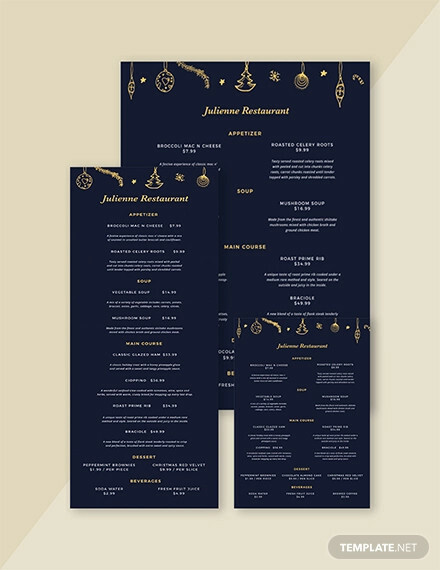 When you choose a well designed holiday menu, you can easily keep up with all the festivity. 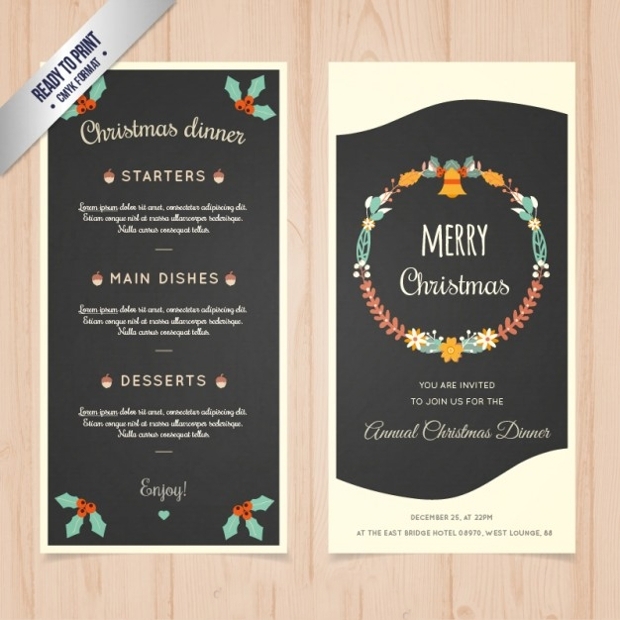 The design of your template should complement the theme of that holiday and season. 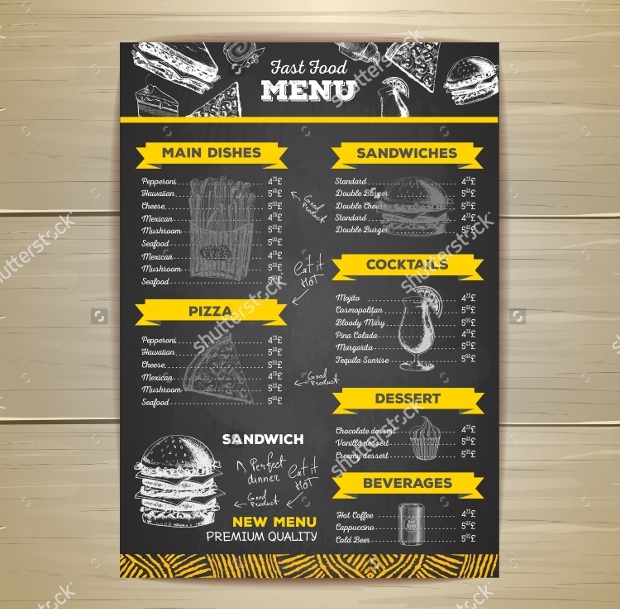 How menu designs are important and where they are used?? 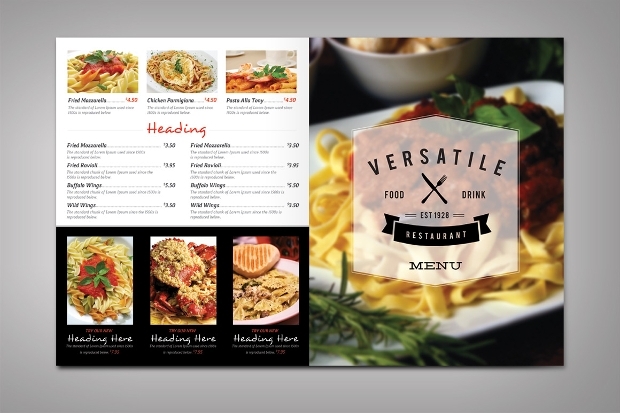 A good menu design will impress clients and showcase vision of the brand owner. 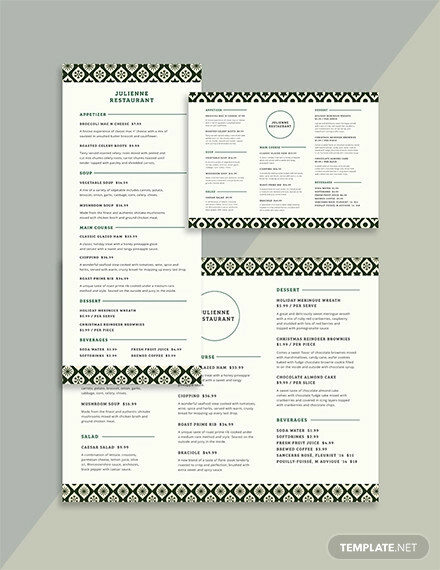 The menu is developed by considering the needs of the guests hence color, fonts, and descriptive content has to be considered. 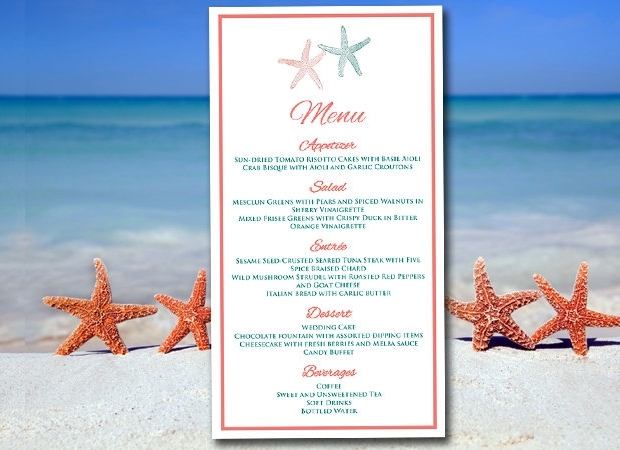 A well-done menu will also show several choices in both foods and drinks so as to impress the attendees. They work to tell the style, prices and themes of the restaurant, café, birthday party, holidays, bakery or any special event. 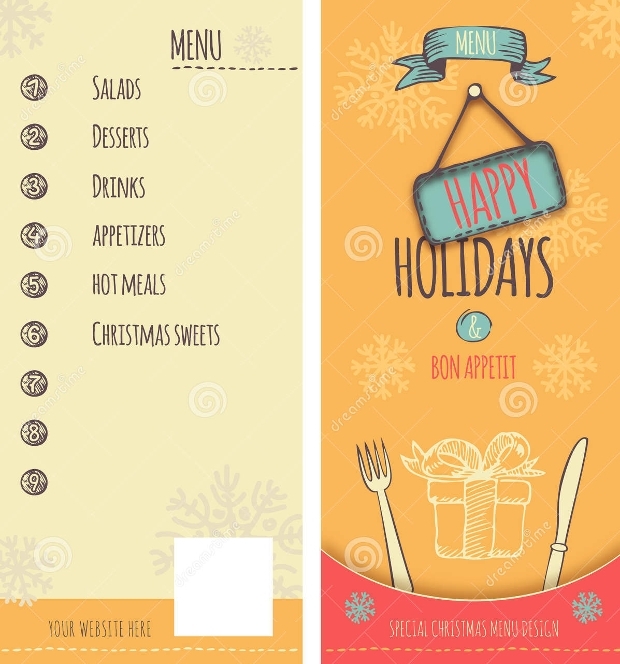 Whether you own a restaurant or you are hosting the next holiday at your home, a menu will help entice guests. 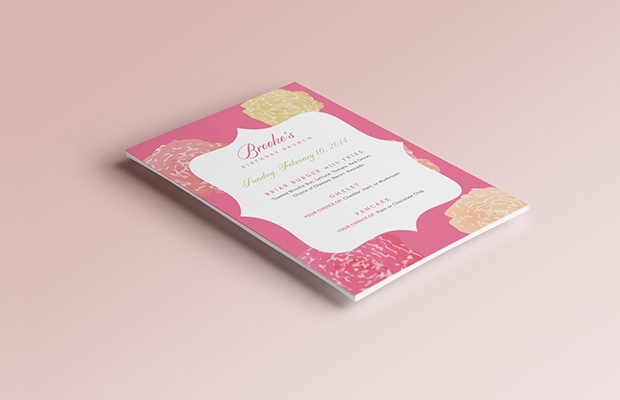 You can choose different colors that complement the theme of the event. The format should be easy to read, professional and motivate guest to come back the next time.